Built on a 100-acre site, the Complex has been conceived as two functionally integrated sets of buildings. The Western complex forms the gateway for the town. It houses functions that respond directly to the needs of the people — changing exhibit galleries; a two-level research and reference library centered around a great reading room open to vistas of water gardens to house rare archival materials,books, joumals as well as audio visual resources; and a 400-seat auditorium to host seminars and cultural events. 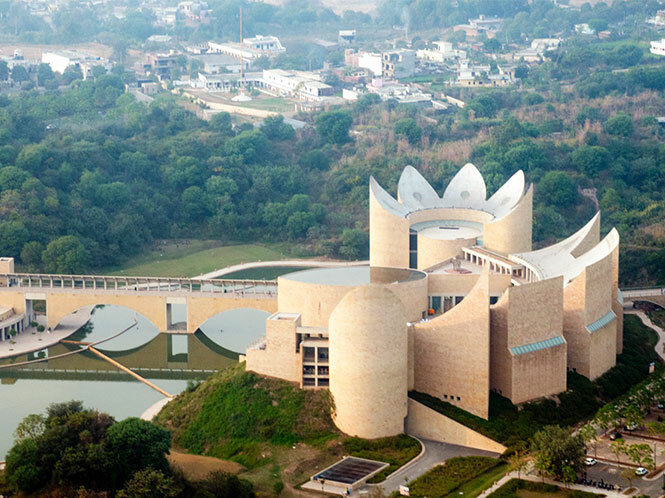 A 165-metre bridge from the Western complex provides pedestrian access to the Eastern complex, the Khalsa Heritage Museum, that comprises permanent exhibit galleries on 5(1) years of Sikh heritage along with museum facilities to rival any world-class museum. 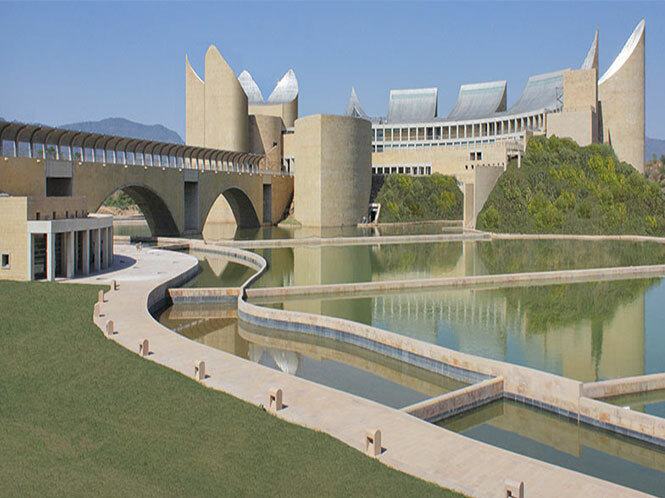 A series of reﬂecting pools create a seven-acre water body between the two complexes. Arcaded walkways and gardens on either side gently cascade towards the serene pools. Public facilities and a cafeteria are located at the base of the bridge overlookingthis vista.